In 2012, eight British Columbia Ministry of Health researchers who were enthusiastically going about their jobs, were suddenly fired with no explanation, and threatened with criminal charges relating to the misappropriation of confidential patient data. It’s no exaggeration that their lives were suddenly turned upside down. Their income was taken away, they were escorted off the premises of their jobs, and they were discredited as scientists. One poor young man died. The research he was conducting was to be part of his doctoral dissertation. It was his whole world. God only knows how many thousands of hours he had poured into his work, only to be completely mortified. He took his own life. The computer where he most likely wrote his suicide note was confiscated and erased before anyone could see it. After they went through months of stress and anxiety being kept in the dark about their dismissal, the researchers learned an even worse reality. They had been victims of a conspiracy. The charges against them were lies made up by government –their own employer. The charges had been trumped up for what reason? Well… it’s not public knowledge, but the affair stinks. What we now need in BC is leadership. Lives have been turned upside down deliberately by a conspiracy of malicious, cynical people, who live in the Machiavellian delusion that power is more important than truth. The very idea that Christy Clark was not somehow involved in this is preposterous. She must not be allowed to be premier again. Of all promises made in the pre-election budget put forward by the BC Liberals today, the one that we should be most skeptical about is projected education spending (which, incidentally, has been underestimated). The main reason for the increase in funding on the education file is that Christy Clark’s government has been forced by the BC Supreme Court and Supreme Court of Canada to change its funding formula. The court was clear in its decree: this is restitution –punishment of a government that flouted the law so callously that it needed to be taught a lesson. And the lesson has taken the form of a $250+ million per year hit to taxpayers. All this is so unnecessary! As explained in the Court rulings, the government was never under any obligation to acquiesce to teacher union demands. It was only required to engage in the bargaining process in good faith –that is, with the intention of arriving at a collective agreement. The government is entitled to play hard ball with the union, and even to legislate if no agreement can be reached. But Christy Clark, in her blind political ambition, decided to make an enemy of BC’s teachers, believing that if she could bring the union to its knees, she would come off as a hero for free enterprise. Her toying with the BCTF was never about reaching agreements, and the BC Supreme Court saw right through her shenanigans. The documents uncovered in court proved that the Liberals were goading the union in order to score political points, while parents scrambled to find daycare for their kids who were not in school where they belonged. Clark figured she could pin all the troubles on teachers, and parents would believe her. This issue could have been put to rest for a lot less money in 2010, had the Liberals only honoured the ruling of the BC Supreme Court at that time, stopped their mean-spirited (illegal, as it turns out) attacks on the Union, and tried to come to agreements. But they just laughed up their sleeves, and kept on in their glib manner. And now who’s laughing? Certainly not the taxpayers of BC who are paying an increase of over $740 million over three years. And despite their vindication in court, neither are teachers. The government has added a toxin to the work environment that simply was not there before the BC Liberals came to power in 2000 –one that is unlikely to go away as long as Christy Clark is premier. It’s worth noting here that shortly before the Liberals took power, the outgoing NDP government had ended local bargaining of teacher salaries, thereby setting up a system that reduced BC Teachers’ leverage in negotiations with government. No more could agreements be whipsawed from district to district. Christy Clark and the Liberals squandered that advantage over and over, and now we all pay. P.S. The video clip that was previously unavailable is now linked here. This trip was very unorthodox. The Premier, leaving no explanation (well… none that can be tracked), chartered a plane and flew to the community unexpected and unannounced to assist a school that already receives federal funding. Meanwhile, Districts under her own provincial jurisdiction are having to close down schools to make budget. It’s very strange behaviour from a premier to say the least. Below is a chunk of the dialogue cut from Hansard (2016 Legislative Session: Fifth Session, 40th Parliament: draft). Unfortunately, the video of Question Period for some reason has cut off this section of the proceedings. What you’ll notice is how Christy Clark stumbles on John Horgan’s questions for a while, then resorts to her usual strategy of trying to deflect by conflating issues (“Grow the economy” is her favourite all-purpose vagary), and then she attacks with insults. This behaviour in Question Period is unbecoming of a premier. It reminds me of how liars operate when they’re trapped. It’s important to note that this transcript comes from a draft and is subject to revision. J. Horgan: On November 26, the Premier visited Masset, her first visit to Haida Gwaii as Premier and, I’m advised, did not inform the Haida Nation of her arrival, did not advise the mayor of Masset. She visited a school, Chief Matthews Elementary School, not a provincial responsibility, and made a financial commitment to that school when we have schools that are the responsibility of the province of British Columbia that are going without funding. I’m wondering if the Premier could explain what took her to Old Massett on that given day and why we would be promoting expenditures of public moneys for an educational institution that’s not the responsibility of the provincial government. Hon. C. Clark: In British Columbia, all citizens are British Columbians, whether or not they attend a school that’s funded by the provincial government, whether or not their school system and health care system is the constitutional responsibility of another level of government. Our government is keenly interested in making sure that First Nations communities get a better shake than they have over a century in British Columbia’s history. That means making sure that we include consideration of First Nations benefits and job opportunities when we’re looking at major resource projects, which we’re doing. It means focusing on improving education for aboriginal people, whether that’s through skills training or secondary school work. It means building relationships in those communities, relationships that will be durable and will help us address the urgent need for reconciliation between First Nations and non–First Nations. As I’ve often said, over the member’s opposition to the economic development in the province, I intend to make sure that we move forward with these projects and take advantage of what could be an historic opportunity, a generational opportunity to ensure that First Nations are able to create the kind of wealth that they’d like to create in order to be able to support their communities better. Education is part of that. Hon. C. Clark: So is economic growth. So is working to a certainty around treaties and other economic agreements. We’ve signed 400 agreements with First Nations to help us achieve certainty for them and for the private sector and for government on the land base and help us really make sure that we define our relationship and have a way, a better way, to engage in dialogue. First Nations have been here for millennia. They arguably have a greater investment in our province than anybody else. It’s time to include them. That means making sure that First Nations communities have the tools that they need, the kinds of tools that lots of other communities take for granted, to make sure that their kids have the best chance. J. Horgan: We did a freedom-of-information request to the Ministry of Education for any and all documents — occasions when the ministry has provided funding for a feasibility study related to an on-reserve school. The FOI came back as a “no records” response. Later, on the 25th of January, an FOI analyst advised us that Education has never provided funding directly for on-reserve schools. I’m wondering if the Premier can explain. Was this a policy decision that was made in the jet, on the way? Was there any material created to support the announcement? Based on our request for information, none existed. Hon. C. Clark: I’m sorry. I can’t speak to the member’s question around freedom of information. But as I said, we are deeply committed to making sure we support First Nations kids in British Columbia, and we’re continuing to do that. J. Horgan: Can the Premier tell us how many other schools, First Nations schools, the government has supported while she has been Premier? Hon. C. Clark: Well, it depends how you define a First Nations school. There are a lot of schools around the province that have a lot of First Nations kids in them. I know the member would differentiate and say: “Well, they’re not our responsibility. We don’t have to pay for these services.” I think British Columbia has to think about doing things in different ways as we redefine our relationship with First Nations. This is part of that, as are many of the other initiatives that we’ve undertaken in supporting young people across the province. For a long time, the federal government wasn’t very present at the table in our discussions with First Nations, and we’ve moved to fill a lot of those gaps. We continue to do that, and as I said, we will need to think about new ways of doing things. J. Horgan: So the Premier’s not aware of any other on-reserve schools that have received any funding from the province of British Columbia? Hon. C. Clark: I’m not aware. As I said, we do need to make sure we’re doing things differently. We have taken a very different approach with First Nations. It’s been successful, for the most part, across the province in making sure that First Nations are a part of growth. You can see in the broad agreement that we’ve had, for example, on the Petronas project — from wellhead to liquefaction plant, broad agreement that the project should go ahead. The Lax Kw’alaams have voted, a huge majority, in favour of it happening. We’re really pleased about that — working with the Lax Kw’alaams to make sure that they get their fair shake out of this deal, as we want to create for all British Columbians. We are finding new ways of doing things. Sometimes that may disturb the fans of the status quo, but the status quo for First Nations people in British Columbia hasn’t been good enough, and we intend to change that. J. Horgan: Does this reflect a policy change, and will other on-reserve schools have access to $150,000 in provincial funding for their needs? Hon. C. Clark: Well, as I said, as we seek reconciliations with First Nations, we’re open to innovative ways of doing things, and we’re going to continue to do that. J. Horgan: I’m advised that the Haida Nation was not aware of the Premier’s arrival and departure. The cost of the trip was an $8,170 chartered plane for the Premier and her crew. Again, the visit was to Chief Ken Rea and some other community leaders. Were there any protocols that were followed? The Haida Nation is fiercely proud of the progress they’ve made, nation to nation, with Canada and with British Columbia. I’m just curious, if the Premier wants to embark on a new relationship, why they were excluded from this visit. Hon. C. Clark: I’m not aware that anything the member has said is accurate. It may be, or it may not be. But I will say that I do spend as much time as I can visiting First Nations communities. That’s part of building a relationship — in a government-to-government relationship, meeting with First Nations leaders and communities. We did certainly meet with the community when I was there. It was terrific. I visited the school, as well, and met the teachers and the support workers and the students and the parents that were there. That’s all part of building a new relationship. The idea that leaders in this province can stay here in Victoria — where the member lives, I know — and not venture out isn’t building relationships. I need to go to communities and meet with people, whether that’s First Nations or non–First Nations, and I’m going to continue to do that. J. Horgan: According to the B.C. First Nations School Association, there are 128 First Nations schools in B.C., and according to the 2013 Parliamentary Budget Office report, B.C. has 12 on-reserve schools that are considered to be in “poor or worse condition” than the only school in British Columbia that has received a $150,000 grant from the Premier via a visit in a private jet. Again, I appreciate the Premier’s comments, but I’m trying to understand what prompted the visit to this community, at this time, for this school, when there is no question about the need right across the province. Hon. C. Clark: I should also just point out for the member that the money, the $150,000, was to: consider options for a new gym, an auditorium addition, draft preliminary schedules, assess budget requirements, identify potential funding sources. It’s money to help them plan. At the time, we had a federal government that wasn’t particularly interested, or didn’t seem to be very engaged, in supporting the work that we were trying to do, that First Nations were trying to do in their communities around some of the social supports that they provide. This was money that we thought would help them be able to make their case to the federal government and help them be able to get their request to the federal government over the line so that they could continue to do the expansion that they very much need in that community, and certainly hope for. J. Horgan: How did you learn of this particular school, when the budget office says there are a dozen schools in, as they say, poor or worse condition? Why was it this visit? What other work was done? Was it just a quick in and out? How long were you in the community? Hon. C. Clark: Requests come to government all the time, as I’m sure the member knows. I was in the community for part of the day, meeting with the community, meeting with activists in the community to talk about their environmental concerns, meeting with elders in the community and talking about their hopes and dreams for the future, meeting with the elected council, as well, and then meeting with the community more broadly. It was at the school — and going to the classrooms with the kids. It was a great chance to get to know a little bit about a community that I hadn’t visited, that has a tremendous need for an expanded school and that was working really hard to get the money that they hoped for from the federal government across the line. We were very happy to assist them in doing that. J. Horgan: As I understand it, the Premier visited on November 26, 2015. Is that correct? Hon. C. Clark: It could be. J. Horgan: You made reference to a recalcitrant federal government. Well, we had changed the federal government on that day. In fact, we had elected a government that, if I’ve been reading and watching Mr. Trudeau correctly, has been making significant commitments to First Nations communities right across the country. So I’m curious why, after the election of a prime minister who said he was going to get some work done on reserves, you would have found $150,000 to give to this particular initiative when there were at least a dozen other schools in British Columbia that were in more need, and there are 240 schools within the system you are responsible for that have been closed since 2001. Hon. C. Clark: Well, the member may not know this, because it’s been a long time since he sat in government, but the federal government does not move quickly, and policies do not change quickly. This had been under consideration by the federal government for a long time. They wanted to get it across the line. We thought we could assist them in doing that with some planning money, and that’s what we did. As I said, we want to make sure that we are supporting First Nations communities in a variety of innovative ways. We’re doing that across the province. The Ministry of Children and Families has been really at the forefront of this. The All Chiefs meeting that we do once a year now — it’s a historic change — is where all of cabinet, all deputies and all chiefs from across the province meet together and talk about what we can do together. All of these are elements of reconciliation. We can’t be afraid to try and meet those reconciliation goals sometimes in ways that depart from the status quo. J. Horgan: When you met with chiefs in September, did they identify this school as a priority, and is that why you ended up in Haida Gwaii on November 26? Hon. C. Clark: I met with a lot of chiefs that day, and a lot of chiefs met with a lot of different ministers. I can’t give the member a full accounting of what all of them and all of their elected representatives talked to ministers and deputies about, but the meetings that I had were very productive. I have to say, it’s something that I think was long overdue in British Columbia, and I’m very proud that we created this venue for First Nations leaders to connect with government very specifically about issues in their communities. I don’t know if the Old Masset community spoke to other ministers who were there or other deputies who were there. That wasn’t one of the meetings that I had during that two-and-a-half-day event in Vancouver. J. Horgan: I’ll hazard a guess that no one did talk to the Minister of Education or any deputies, because when we asked for information on this…. I haven’t been out of government long enough to not know that if a minister is asked to do something, he’ll advise the deputy and materials will be created. Yet when we asked for information about this policy change, “no responsive records” is what we got back. The Premier said, interestingly enough, that it takes a while to turn a government around. But apparently it doesn’t take any time at all to find 150 grand for an area that you’re not even responsible for after you’ve flown up with your entourage in a private jet. Perhaps the Premier can try and zero in on that. We have an abundance of staff here. They have electronic devices. Maybe we can call back to HQ and see if we can get a legitimate answer as to why you spent $150,000 of taxpayers’ money on something you’re not responsible for, when 240 schools have closed in British Columbia on your watch. Hon. C. Clark: Well, the Old Massett school serves a lot of non–First Nations kids as well. As I said, we wanted to make sure that we supported the community in pursuing this expansion — money from the federal government with the planning money. That’s exactly what we did. I think it was the right thing to do. It’s an important part of reconciliation. J. Horgan: Again, I’m delighted that the Premier says that there are kids that are going to benefit from this. That’s not the issue. The question is: why these kids and not the kids at the dozen other schools that are in poor or worse condition than the school at Old Massett? And why in the world, if you’re going to embark upon a policy change, is there not a scrap of paper to advise the public? We talked about the duty to document earlier on in these estimates. We talked about the Premier’s desire for openness and transparency. She also talked about respect for First Nations. Now, I was here today. I participated in a ceremony when we introduced the Talking Stick into this Legislature so that there would be respect and decorum. We had First Nations leaders from around the lower Island, two from my own community. I have a little bit of understanding about how First Nations feel about protocols and how First Nations feel about how we proceed in an open and transparent way. It’s inconceivable to me that the Premier of British Columbia could make her first visit to the Haida Nation and not advise the Haida Council that she was coming. She came with a cheque for $150,000 that has no policy foundation whatsoever. We can’t get an answer today as to why it happened other than it was a good idea at the time. Well, whose good idea? Did this idea come to you directly from the chief or from an intermediary? Hon. C. Clark: Well, we are spending $1.7 billion of capital across the province for 1,500 new student spaces. There’ll be more to come on that. We want to make sure that we are supporting schools in British Columbia that are in districts that are growing and improving older schools that need to be upgraded. That’s a very significant amount of money. In this school, where lots of First Nations and non–First Nations children attend, we thought we could help them with some planning money that would get them across the line with the federal government. Again, we are always looking for new approaches to make sure we build reconciliation with First Nations in British Columbia. That’s been a central focus of our government. That’s why we’ve signed over 200 agreements with First Nations since I’ve become Premier. That’s why we bring together chiefs from across the province. It’s why we have a policy to make sure that we are including First Nations in economic growth. J. Horgan: Again, I’m delighted to hear the Premier…. You know, we’ve got 240 schools closed, 42 more on the chopping block just this year. I’ve been in the Okanagan. I’ve been talking to people. The mayor of Osoyoos — absolutely beside herself that she and her community will be without a school, a school that is the responsibility of the province of British Columbia, the responsibility of the Premier of British Columbia. And we can’t get a straight answer on why it is that the Premier went, for the first time as leader…. I have been to Haida Gwaii. It is a spectacular place. I remember almost every minute of my time there and why I went there and how I got there. But yet the Premier of British Columbia went with a cheque in hand for a school that is not her responsibility, and I have not yet heard from her why it was that this policy shift happened. Was there any foundational work done by the Ministry of Education? Apparently not, based on freedom of information. Perhaps it was just a whim by the Premier. If that’s what it was, then that’s okay by me. Just fess up to it. Why would you go for the first time to the Haida Nation, not advise the Haida Council you’re coming, come with a cheque in hand, drop it off and head out of town, never having done that in any other corner of the province — or by any other Premier in the history of B.C.? Why would that happen? If you were so proud of it, why is there not more work being done for the other schools in B.C.? We can’t find a scrap of paper on that either. Hon. C. Clark: We are continuing to work with First Nations communities across the province on early childhood education, on secondary education — how we can improve that. We’re also working with First Nations communities on how we can improve the transition from First Nations schools to non–First Nations schools, which is a very significant issue we hear about in the northwest and other parts of the province. We do very much continue that work, the work that FNESC has done over the years in helping us make sure we understand what’s going on for First Nations students in school. By the way, the FSA has been a vital part of helping us understand that. That’s why we continue to support the FSA over the opposition objections — one of the reasons that we do that. As I said, we continue to invest in education all across the province in front-line services for students and, of course, $1.4 billion in new and improved schools — we’ve built 48 new schools, replaced 70 aging schools, added space at 186 schools, seismically upgraded 149 schools — at a time when enrolment is dropping across the province. We’ve continued to try and find innovative ways to work with First Nations, and we’re going to continue to do that. Whether or not the member likes it, I think it’s important that when we work with First Nations, they understand that we aren’t always wedded to the same old way of doing things. The same old way of doing things hasn’t served many First Nations people across this country very well for a very long time. We want to change that, and that’s the work that we’re doing on economic growth. It’s the work that we’re doing on education. It’s the work that we’re doing on First Nations health care, where we’ve made significant strides. We have a lot more to do. J. Horgan: Did FNESC, which is the First Nations Education Steering Committee…? Were they advised on this contribution? Are there other schools that can apply? Is there an application process? Or was it just a one-off? That’s the issue. I appreciate that the Premier has an abundance of information that she can read off to me. None of it is relevant to the question that I’m asking, however. That’s about a $150,000 grant that only existed the day the Premier arrived and has not been talked about since she left. If there is a grant program, can the Premier advise us how other institutions can apply for it? Hon. C. Clark: We certainly respond to educational institutions and First Nations communities across the province to requests that we get from them. Some of them are very traditional requests; some of them are less traditional requests. We are always trying to find innovative ways to be able to meet our obligations. This money was for planning purposes. I understand the planning is underway and ongoing. We certainly hope that they’ll see that expansion for those First Nations kids and the non–First Nations kids who attend it. J. Horgan: The Skidegate Band school is in difficult straits as well. Did the Premier ever contemplate seeing the Skidegate Band when she was on Haida Gwaii? Hon. C. Clark: I don’t know if they’ve made that request. If they have made that request, the Ministry of Education will certainly let the member know. The ministry, I’m sure, will consider it. J. Horgan: Did the request from Chief Rea come directly to the Premier’s office or through an intermediary? Hon. C. Clark: Chief Ken Rea made the request directly to me in a meeting that we had. I meet with First Nations leaders from across the province on a regular basis. I always try to do that. I cannot meet with all the chiefs that would like to meet with me during the annual all chiefs meeting that we do. Frequently, when I do meet with First Nations leaders, there is a whole range of issues that they present. We work hard to try and, where we can, agree on the ones that we can accommodate and the ones that are most important in those communities. J. Horgan: We can confirm, then, that Ken Rea asked you for the money, and you gave it to him. Is that the process for funding for schools on reserves in British Columbia? Hon. C. Clark: No. The Ministry of Education reviewed the proposal and did their work on it. There was certainly more process to it than that. I will say that I think that the work we’ve done in that community and continue to do on Haida Gwaii is a very important part of making sure that our relationship with First Nations is as durable as it can be, but also to make sure that kids in First Nations communities get the fair shake that they deserve. I’m having a little bit of difficulty, and I suspect that those at home — and certainly those in the South Okanagan who are facing school closures — are having difficulty understanding how it is that their appeals for their member of the Legislature to show up and be answerable for decisions that are happening goes on to deaf ears. Yet a random visit by a chief from Old Massett not only elicited a visit from the Premier but a cheque in hand, when there was no process, there was no oversight, there was no review. I find that hard to get my head around. I’m wondering, again, if the Premier can say to the House today that there is in place — as a result of this innovation that she’s brought to First Nations relations in British Columbia — a process where other First Nations communities can approach the government for 150 grand. Hon. C. Clark: Well, if the member thinks $150,000 is going to solve the issue that the folks in Osoyoos are facing, he’s badly mistaken. I will also say that this was money for planning, as I said, and that planning is underway. We hope that the kids will end up pushing it across the line with the federal government and they’ll end up with a school expansion that really works for the community and the kids who go to school there. J. Horgan: Well, 150 grand will get them halfway there in Osoyoos, because the savings are allegedly going to be $300,000 in a year, and that’s just to the district. But imagine the consequences for families and for kids who are going to be on buses for large portions of their day. They’re also, by the way…. A note to file here. The kids are going to have to pay for those buses as well. Is there a program for on-reserve schools to be funded through the Ministry of Education? Hon. C. Clark: I can’t speak to the freedom-of-information request that the member has in front of him, but I can confirm, based on what I’ve just heard from the ministry, that they have been in discussions with them since November 2014. J. Horgan: Now that we’re getting information, perhaps the ministry could advise us if there are any other schools they have been in contact with. Hon. C. Clark: I cannot confirm that, but I can check with the ministry and get that information for the member. J. Horgan: The Osoyoos Secondary School is on Crown land. It’s a provincial asset. It has been educating kids in the community for a long, long time, and it is the only secondary school in the community. Yet the Premier is not prepared to take the extraordinary step of intervening or advising the school board there how they can find other ways to keep that school open. But yet again…. I’m just looking at the perception. I appreciate that the Premier may well be genuine in her desire to break the logjam of status quo, but it seems passing strange that in the middle of an election campaign, in Old Massett, the Premier shows up with $150,000 for the school there for planning money when we have no jurisdiction whatsoever. Could the Premier agree with me that, at least on the surface, that looks pretty lame? The line of questioning that the member has been focused on has, I think, been thoroughly exhausted. I have answered the questions the same way, I should note, a number of times. I’m happy to continue with this line of questioning over $150,000. If, however, he would like to talk about jobs and the economy and putting working people to work at some point, I’d also welcome that discussion, although I’m sure the member is going to continue to do his best to avoid talking about any of those things that would mean putting working people to work in British Columbia. J. Horgan: Well, I guess 150 grand is just three years of top-up for the Premier. That’s just pocket change for her, but it’s a significant amount of public expenditure in an area where we don’t have jurisdiction. We have a lot of problems in British Columbia. How many bus passes could we purchase for 150 grand? We’ve got people with disabilities who are having to pay for a bus pass that they didn’t have to pay for last year, and there’s $150,000 for planning. How does that make sense to anybody? And if education is not part of the economy, then maybe I’m on another planet here. It seems to me that if we’re not educating the next generation of innovators and entrepreneurs and pipefitters and plumbers and poets, then we’re doing a disservice to the people of this province and future generations. I’d still like to have an answer from the Premier. Why it is that she doesn’t understand or see the conflict here between the public system that’s being starved, $54 million in clawbacks for administrative low-hanging fruit, when there’s 150 grand hanging around in the Premier’s pocket change to give to a school that’s not provincial jurisdiction? If you’re able to give 150 grand to Old Massett, why in the world wouldn’t you then announce you have a program…? If you really are genuine about addressing First Nations education issues on reserve, why wouldn’t you announce a program for all First Nations schools on reserve, the dozen schools that are in worse shape than the school in Old Massett? That strikes me as innovative. That strikes me as leadership. What this strikes me as is something that smells really, really bad, and the Premier wants to change the subject. Why in the world would you fly to Haida Gwaii for the first time as Premier and not meet with the Haida Council — breaching protocols that the Premier should be well aware of — because someone asks you for money for a school that you have no responsibility for? That doesn’t make sense to me, and I would argue it probably doesn’t make any sense to the people in this House right now. Hon. C. Clark: I would argue it may not be true of all of the people in this House, but I think for the people watching, most of them would like to know about whether or not they’re likely to get a promotion because the economy is growing, whether or not their kids are likely to be able to get a job because the economy is growing, whether or not they’re going to be trained for positions that actually exist. I think that’s what top of mind for British Columbians. But the member studiously avoids talking about any of those issues. I am, of course, happy to indulge him in that. I didn’t add this before, but in January 2015, the ministry spoke to the Haida Gwaii school district about their capital plans. One of the things that the school district raised with them was the possibility of being able to provide some support for this school. So those discussions that I said happened, happened over a period of, I think it’s fair to say, about a year and included the school district. J. Horgan: Could the Premier provide a decision document that confirms that the government of British Columbia agreed to provide this money, or was it a discretionary expenditure? Can the Premier provide a decision document that demonstrates the decision tree that led to the conclusion that the Ministry of Education or whatever pot of money this $150,000 came out of was approved in an appropriate way, or was it just out of discretionary funds? Hon. C. Clark: I understand that the Ministry of Education has documents which I could potentially provide to the member. What we’ve said is we wanted to support this school expansion through planning money, which we did, recognizing that this school doesn’t just serve First Nations kids who are on reserve. It serves First Nations kids who are not on reserve, and it serves many, many non-First Nations kids, as well. I should say, they do a really great job. It’s amazing. Kids are learning the Haida language and the Haida culture. It’s a tremendous example of building understanding between two communities that, in some cases, haven’t always understood each other. I think this school is making a tremendous change. And it’s an example of the kind of integration in communities that we’d like to see and the education of non-First Nations kids in First Nations culture which I think is so important, in the long term, if we want to make sure that we really do reconcile. J. Horgan: Let’s focus on the area of jurisdictional responsibility that the Premier has, and that’s the public education system here in British Columbia. There is a debate raging about the percentage increases in funds for private schools while there has been a cap and, in some cases, a clawback of funding for public schools. I’m wondering if the Premier can articulate for the committee why it is that there’s a significant increase in funding for private institutions and flat increases for public education. Hon. C. Clark: There haven’t been decreases in funding for public school students. Average per-pupil funding has risen by more than 42 percent since 2001, from $6,262 to $8,908. That’s a very significant increase. Funding follows the student, as the member knows. For most children who are at independent schools, that’s 50 percent on operating per child. At public schools, obviously, it’s 100 percent. But the money follows the students. J. Horgan: Can the Premier articulate and quantify the amount of downloading that’s been going onto the public system in terms of unfunded contractual obligations, hydro costs, MSP premiums, WCB premiums. Have they been keeping pace? Has government funding been keeping pace with those increases? Hon. C. Clark: Enrolment in British Columbia has been declining, but nonetheless, the support on a per-student basis has gone up very significantly in order to try and make sure that we keep pace. J. Horgan: Well, enrolment is up this year, so we bucked the trend. The Premier was talking earlier about how excited she is about people moving to British Columbia. Yeah, they’re bringing their kids, and they need educational institutions to thrive and prosper. I’m wondering if the Premier could explain to the parents of kids in Surrey when they’re going to be able to get their kids out of portables and into schools. Hon. C. Clark: The member should stay tuned. J. Horgan: I heard “stay tuned” a year ago on housing, and what we got was the Real Estate Council reviewing themselves. What we got was, after we tabled legislation in this House, some steps on shadow flipping, and we still haven’t got anything to address speculation. So I suppose we’ll stay tuned on Surrey. But if we are going to have an announcement on Surrey, I’m hopeful that the people in the south Interior should stay tuned for some relief there. One of the challenges of school closures is an increase in the cost of busing students from one jurisdiction to another. Because of underfunding, school districts in both rural and urban areas have been forced to increase fees for things like busing services. Peace River, Chilliwack, Abbotsford have been forced to put bus fees in place — in some cases $700 a year. Does the Premier believe that forcing parents to pay $700 a year to bus their children out of the community that they had a school in, into a community that has one, is an appropriate way to manage our education budget? Hon. C. Clark: I want to quote members opposite, who said: “The declining enrolment issue across the province is an obvious one, and I accept that judgment from the Education Minister in certain parts of the province.” That’s what that member said in ’08. These are very difficult decisions that school districts need to make. Nonetheless, they are empowered to make them, and we trust that, as locally elected people, they will make the best decisions for the communities that have elected them. J. Horgan: Budget 2016 included a 1 percent increase for public school funding, which is below inflation and certainly below a 4 percent increase in hydro and a 4 percent increase in MSP premiums for those districts. Is the Premier saying to this House that a 1 percent increase when we’ve had increasing enrolment, which is below inflation and below the costs — putting aside contractual obligations — that the province imposes with respect to heating costs and medical services premiums…? How can you say that that’s keeping pace with growth in the communities? Hon. C. Clark: Well, the operating grant for public schools will be an additional $6.7 million. Enrolment is up in 42 school districts, and additional funds were required to fund those extra students. We’re delighted about that. A booming economy has meant that more people are coming and, as the member said, bringing their kids with them. That’s the result of working so hard to create jobs in the province — jobs that attract people. People bring their kids, and enrolment grows. That is great news for B.C. No question about it. Eighteen districts, though, are continuing to experience enrolment decline. This has been a real problem for a long time in the province, particularly as rural communities have continued to shrink. We need to make sure that we build rural communities up. Part of the focus for us in supporting resource development and getting to yes has been making sure that rural communities have the economic opportunities that they need so that — rather than communities continuing to decline in population or just simply aging rather than getting younger — they grow and get younger. We can begin to address what’s a real worldwide problem, where rural communities are shrinking and urban communities are growing. We’d sure like to do everything we can to try and reverse that trend here in B.C. J. Horgan: The government has refused to cover the $26 million cost of the next-gen connectivity upgrade in public schools. The Premier mentioned earlier on that it was going to be $6 million for coding but not $26 million to connect those kids that are learning how to code to the interweb. This is an additional cost imposed, sanctioned, by the ministry, and it’s not being funded by the government. How is it that the low-hanging fruit that the Premier referred to a year and a half ago when she put forward an edict that $54 million in administrative savings could be found…? You’ve added another $26 million. This is destabilizing communities. It’s destabilizing school boards and leading to closures of schools that, in the long term, are going to have a negative impact on communities, a negative impact on the economy and certainly a negative impact on kids. Hon. C. Clark: The member is incorrect in his assertion that it is funding that is leading to the closure of schools. What is leading to the closure of schools is fewer students in the province. There has been enrolment decline in 18 districts. In some of them, it’s been going on for a very, very long time. That is the primary reason that schools end up being closed by school districts. I’m happy to report that we are budgeting for an additional 1,400 kids in September 2016. British Columbia is booming. People are coming, and more kids will be in school, which is terrific news. We’ve worked hard to help British Columbia get here, but it’s been hard-working British Columbians that have made sure we did. J. Horgan: It strikes me that we’re hollowing out rural British Columbia when we start liquidating our schools, our public facilities in communities. How is Osoyoos going to attract new workers, new investors, new enterprises when there’s no high school for kids? How does that make sense to anybody? A city of 7,500 people without a secondary school just doesn’t make any sense. The Premier has been shortchanging districts, looking for low-hanging fruit. There was this blanket request for $54 million last year. I’ve been speaking to school board officials right across the province. They’re struggling. They’re struggling finding the money. On top of that, they’re having to manage the inability for B.C. schools and districts to budget effectively. Nobody wins when the government is bullheaded on this stuff. Wouldn’t we want to get to yes to keep schools open in British Columbia rather than close them? Hon. C. Clark: In terms of public school enrolment growth, what we’ve seen is this. In 2015, we saw the first enrolment increase in B.C. public schools in almost 20 years. I’m delighted to report that — approximately 6,700 more students than the districts had estimated. An additional $6.7 million was invested to ensure that those students were funded at the published rates. Districts have an estimated increase of 1,000 school-age students for September 2016 — 1,400 in total, including adults, for the full year. We’ve committed to fully funding that enrolment growth. But this follows many years of declining enrolment, and for many districts, it has meant very, very difficult decisions, as I said. We hope that we can do a fair amount to reduce that and to diminish that problem by making sure that we stop the withering of rural communities. Those who say no to everything would see those communities shut down altogether. I take a very different view. I think we should try and say yes to economic development, yes to growth and yes to rural communities that depend on that growth. J. Horgan: Has the Premier reviewed administrative costs in school districts? Hon. C. Clark: It was reviewed as part of the budget process. J. Horgan: Well, B.C. school districts have the lowest per-pupil district costs in Canada — 30 percent less than other jurisdictions. B.C. school districts spend less than their American counterparts, and administrative expenditures are in line with other public sector entities. Despite that, despite all of the work that school districts have done to try and conform to the download that keeps coming from the B.C. Liberals, they’re being asked to find more money. Surely, the Premier can acknowledge that that’s debilitating. We have a $100 million prosperity fund filled with increases in medical services premiums, not from revenues from LNG. Surely to goodness, on a rainy day in British Columbia, we could take that discretionary money that the Premier has squirrelled away for re-election purposes and put it back into the school system. Wouldn’t that be good news for Osoyoos? Wouldn’t that be good news for the capital challenges in Surrey? Wouldn’t that be good news for kids in British Columbia? You had 150 grand for a school that you’re not even responsible for, and you’ve got $100 million doing nothing when it could be going into school districts. Hon. C. Clark: So $150,000 for a school that accommodates a lot of citizens and lot of children in British Columbia who are citizens of our province, some of whom are First Nations and some of whom are non–First Nations. In terms of administrative savings, elements of government all across the province have found administrative savings, and the request of government to school districts was to try and start finding some of those administrative savings as well. We want to make sure that as many dollars as possible go into the front line of classrooms. J. Horgan: District after district has said that the administrative savings that the Premier is calling for will result in cuts to classrooms. We have $100 million that has been put into a fund just so you can say you kept a commitment, even though the money is not coming from where you said it would come. Why wouldn’t you take that revenue in your budget today and help districts like Vancouver, help districts like the southern Interior, help the districts in the north? Wouldn’t that make a whole lot more sense than sitting on 100 million bucks when kids are having their schools ripped out from underneath them and districts are carved to the bone and, in fact, going beyond the bone, going into classrooms, affecting the programs and outcomes for kids now and into the future? Hon. C. Clark: We have been working as hard as we can to support the school board of Vancouver in offering what advice we can to them. Admiral Seymour Elementary School is 73 percent empty. Sir William Macdonald Community School is 72 percent empty. Garibaldi Annex is 61 percent empty. You can go down the list of schools that are really underutilized. Those are issues in Vancouver that Vancouver, almost uniquely, has to deal with. I know that they are struggling with some of those decisions now. I know that they are very difficult decisions for them to make. But those are their decisions. We’ve offered what advice and support we can in that, but ultimately, they will be the ones that make those choices. J. Horgan: The latest ministry report on class size and composition shows that learning conditions in B.C. are continuing to deteriorate. Class composition has grown steadily from 2006 to present. The number of classes in B.C. with four or more children with special needs in them has gone from 9,500 in 2006-07 to 16,500 this year. That’s the highest it’s ever been. The Premier likes to get to historic highs. Well, we now have historic highs for kids over the number prescribed by legislation in classrooms around British Columbia. The Premier said she was going to address that. How is going from 9,000 to 16,000 addressing the problem? Hon. C. Clark: Decisions on class composition are made at the district level by principals in consultation with teachers. That certainly requires professional judgment on the part of the experts in trying to make sure that we have the best possible learning environment for students that are in there. The factors that are considered when principals make these decisions include teacher workload and experience, student preferences and aptitude, social and behavioural dynamics, the availability of educational assistants and other supports, and students with identified special needs. Class size and composition, I should note, have been regulated in B.C. since 2002. We’ve been working with the BCTF, and in our agreement, which brought in the longest period of labour peace that we’ve had since the teachers union came into existence in British Columbia’s history, we also added $125 million over five years to the learning improvement fund. That brings up to half a billion the money that’s there to address class-composition challenges. We make sure that we work with the BCTF in a renewed relationship — not always perfect but definitely, certainly, renewed and better — to make sure that those resources are appropriately applied in school districts across the province. J. Horgan: During the labour disruption, the Premier said that class composition was her number one priority. I’ve just said that the statistics put the lie to that. Special needs — numbers of four or more kids have gone from 9,500 to 16,000. At the same time, the number of special educational assistants in classrooms has declined by 432. There are 500 more classrooms in British Columbia because of the growing enrolment, and there are 432 fewer education assistants. How is it that the so-called low-hanging fruit that the Premier refers to in her clawback of administrative savings hasn’t adversely affected the 432 fewer special education assistants and the increasing number of special needs kids in classrooms right across B.C.? Hon. C. Clark: I don’t know where the member gets his numbers. There are 9,780 education assistants working in schools today. That’s an increase of almost 50 percent since 2000. In working with the BCTF as well…. I think the union also has a preference to ensure that more teachers are deployed in classrooms who are members of the BCTF as well. They’re not educational assistants; they’re teachers. That isn’t reflected in the statistics that the member’s talked about. Again, the half a billion dollars that we’ve committed in the agreement with the Teachers Federation is going a long way to helping alleviate some of these pressures that classrooms and teachers feel in their classrooms. J. Horgan: I’d like to move to the health system, if I could, and the Premier’s leadership in that area. That made a whole ton of sense to me, so I had an expectation that when the budget was tabled in February, we would see significant changes to the Medical Services Plan. Instead, what we got was a deferred change to January of 2017 — just in time, surprise, surprise, for the next election. I want to ask the Premier if she can explain why it is that even though she’s had time to change the status quo…. I mean, we did that with our federally funded school by finding provincial funds for that. Why is it that we didn’t try to change the status quo when it comes to medical services premiums, a premium plan that she called “antiquated”? Why not take some action on that immediately rather than deferring it to next year? Hon. C. Clark: We’re not talking about $150,000 here. We’re talking about $1.42 billion — or we’re talking about much more than that in our budget for Medical Services Plan. It’s not an NDP budget. You can’t do it on the back of a napkin. We are doing our due diligence and making sure that any changes that we make are going to be the best ones possible. I should also add, in reference to the earlier question, $400 million in the learning improvement fund has so far hired 312 teachers, 849 part-time teachers and 400 support staff, thanks to the work from the BCTF and our negotiators at the table for establishing this agreement and making sure that it’s working for kids in classrooms. It was a lot of hard work getting there. There were those who said we should just run up the white flag and give it up. We didn’t. We stuck with it. We got the longest period of labour peace in British Columbia’s history since the BCTF was created. J. Horgan: Since the Premier took office, she’s increased medical services premiums by 24 percent. She likes to talk about the lowest tax jurisdiction in this neighbourhood, yet regular people have had a flat tax increase of 24 percent, costing about $345 more per year for families since she became Premier. I appreciate that you don’t want to do this on the back of a napkin, but “what else do you do?” is the kind of question I have. What does the Premier do all day? If we’re not trying to address the problems of our time, we’re jetting off to an island in the North Pacific, giving away money that we don’t have to for reasons that are inexplicable. Well, why don’t we say yes to getting rid of medical services premiums? Why don’t we say yes to getting rid of a flat tax, the only province in Canada that has one? That’s something we can all say yes to. Why don’t we do it right now? Let’s commit to getting rid of this thing as quickly as possible, not just booting the ball down the field, as the Premier is tending to do. Hon. C. Clark: He says “jetting off to an island in the North Pacific” as though Haida Gwaii is not an integral part of British Columbia, as though it’s some foreign land that a Premier or a representative of government has no business going to visit. I’d remind the member that Haida Gwaii is a vital part of British Columbia and the people there matter. I think it’s entirely appropriate for members of government and the opposition to visit communities around the province as part of understanding the province. We can’t all stay in Victoria, where the member lives, and decide we want to govern from here. It means travelling, and it means travelling to places in British Columbia that I wouldn’t characterize that way. I think that people of Haida Gwaii would be a little bit offended at the way the member has characterized the community that they live in. In terms of what the Premier does all day…. Well, I could go on about that for a long time, but it might involve drawing the member into a discussion of the economy, which I know he desperately wants to avoid, so I won’t go into that long list of things that I do all day. All of them are focused on trying to make life better for British Columbians, create more opportunity for kids and adults, create more jobs, grow the economy. We’re No. 1 in Canada. Those statistics are heartening. We have the lowest unemployment rate in the country, and we are looking at the best growth we’ve seen, comparatively, in Canada since 1961. Those are pretty good numbers, and it’s the result of a lot of hard work. If the member would like me to go into some detail about exactly how my days unfold, I’d be happy to, but it may consume the rest of this discussion and, as I said, draw him into a talk about the economy, which I know he wants to avoid at all costs. Why Christy Clark’s $10,000 lunches are a conflict of interest. My first impression when I found out that Premier Christy Clark was hosting $10,000 fundraising lunches, was pretty ambivalent. Her party appeals to people who don’t want to be taxed: rich people, for whom a 1% increase in tax is a helluva lot of money; people who would rather pay private school tuition fee because it’s cheaper than a tax increase that would go toward a more equitable public system (poor kids be-damned); people who are in the C-suites of corporations. But the longer I sit with the idea the more I realize that it’s not “so what”. Not at all. I still remember the howls of outrage levelled at Premier Glen Clark back in the day when a friend of his, built the premier a nice sundeck for his residence to the tune of 9 grand or so: interestingly, lower than the cost of one lunch with Christy Clark. Oh the indignation! The mere optics of the transaction led to the resignation of the premier. Ultimately, Glen Clark’s behaviour was investigated, and he was found to not have had any conflicting interests. It ended up being just a friend doing a friend a favour –without benefiting from the fact that the recipient was the premier. Still, though. It was a transgression for a premier to receive such a benefit. But this business with Premier Christy Clark and the $10,000 lunches: this is blatant violation of conflict of interest guidelines. First of all, her party pays her a stipend, a big one, which is unconventional enough (What if a question of governance came up that might put her at odds with the party? ), but the fact that these lunches raise the funds from which the party draws to pay for that stipend… yeahhh, that’s a slick arrangement! And what possible motive could a person have for a private lunch with the premier for that amount of money? Do they just talk about the weather? And maybe the Premier answers with something like, “Well we wanna ensure that good folks like you, who bring so much wealth to the province, have a fiscal environment that allows you to succeed. And could you please pass the risotto?”. And then they clink their glasses of Quail’s Gate. And that very conversation is the problem (not the part about risotto). People who can pay will be able to bend the premier’s ear, and present to her their world view (right or wrong), and the premier, who has just cashed in big-time, might possibly feel a bit indebted to these lunch guests. And after all, they’re the nice people –well dressed, charming, funny, educated. Meanwhile, the people who are struggling to put food on their own table will never be able to let Christy Clark know how the views she subscribes to may not reflect the reality of life for a larger portion of the populace. So she goes on in blissful (or willful) ignorance, eating on white linen table cloths. Dear Conservatives: Your election loss was never about style. Here’s a little free advice for the Conservative Party of Canada. Stop blaming your election loss on Harper’s style. Canadians didn’t send so many of you packing over questions of style. It was your policy. YOUR policy. Harper tried to get bitumen pipelines built through BC, Quebec, and the U.S. and you sat there and watched him –HELPED him even. It wasn’t his style that offended people; it was the pipelines. And he knew it. That’s why he stacked the National Energy Board with people invested in the oil industry. And you let him –HELPED him even. That’s why a bunch of your people created a fake advocacy group called Ethical Oil. That’s why Harper tried to suppress scientists, the huge majority of whom are very concerned about the increase in greenhouse gases caused by (among other things) bitumen oil. And you let him –HELPED him even. The “style” was the desperate tactics of a desperate ideologue. But don’t for a minute get the impression that Canadians are so vacuous as to think it was all about style. And there’s more. The F-35 program was WAY over budget. Ridiculously so. When Harper won his majority, the damn things couldn’t even fly yet, and we’d spent kazillions on them. Australia gave up on the project. Even Obama was talking about giving up on it. Then an auditor found that your government had lied about the costs. Another desperate strategy of a desperate ideologue. But Canadians saw right through that. 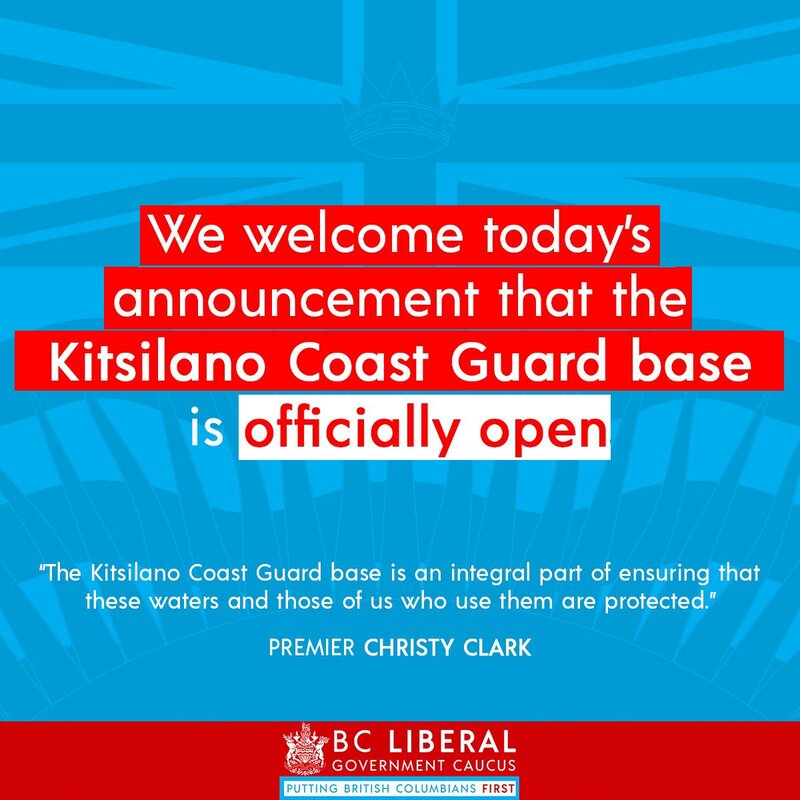 In BC your government shut down the busiest Coast Guard station in Canada. Then a boat had its hull punctured and gushed 2700 litres of bunker fuel into the inlet. Granted, the temerity it takes to say that one is “enormously pleased” with a response that took nine hours before a boom was set up says something about style. But it was the nine hours that had people fuming, not so much the style, while a boat that previously would have been able to respond to the situation in 6 minutes sat in dry dock instead of at the Coast Guard station. It was the FACT that your government re-purposed the Museum of Civilization. It was the FACT that you changed the Elections Act. It was the FACT that you brought in mandatory minimum sentences against the advice of the justice system itself. It was the FACT that you tried to appoint an ineligible Judge to the Supreme Court (Okay, that was Harper. But then you all went on the attack against Justice McLachlin), the FACT that you created the Anti-Terrorism act, the FACT that you created anti-union legislation, the FACT that you killed our ability to keep track of our nation by killing the long-form census, the FACT that you took us into combat in Afghanistan and then in Iraq and Syria, the FACT that you took health care and pensions away from our veterans, the FACT that you tried to sneak us into the Trans Pacific Partnership, the FACT that you provided income splitting and other tax benefits to those who don’t need it while doing nothing for those who do. It’s the FACT that you ran enormous deficits while shrinking public infrastructure. It’s the FACT that you changed the Elections Act in such a way that it would benefit you. It’s the FACT that you refused to acknowledge or comment at all on the findings of the Truth and Reconciliation Commission, or to indicate any kind of concern for hundreds of murdered and missing women. You need to get it. You need to own it. We might have been able to forgive your style. Hell I admire the Ex Prime Minister’s piano ability, and I’ve already forgiven Trudeau for wearing brown shoes with a grey suit the day he announced the new cabinet. It was never Harper’s style. It was your policy. YOUR policy, as in… the policy that came from YOU.